The mission of the New Mexico Court Reporters Association is to provide its members with continuing education and encourage high ethical standards, quality service, and the use of state-of-the-art technology. New Mexico State Board Governing the Recording of Judicial Proceedings ("CCR Board") at ccrboard.com. * Education - Our association sponsors interesting and affordable continuing education seminars to help advance your professional growth. * Power - Professional alliances promote and protect our profession. 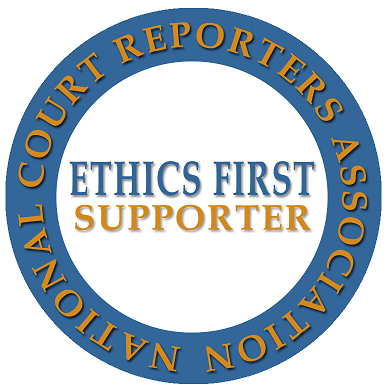 We are an affiliated association of the National Court Reporters Association. * Connections - Business and social networking. Make great business contacts, receive job postings, and build lifelong friendships. * Leadership Training - NMCRA sends representatives to leadership conferences,legislative boot camps, and national conventions for training and education. * Fun - No doubt about it, we have a great group of members who DO know how to have a good time! An ongoing goal of the NMCRA Board is to continue our efforts to provide the membership with current information as well as valuable resources. We would like to hear from you. Your valuable input will make this site even more useful. To forward your comments, click here.